Australia does not only have some of the best places to live and travel in but also incorporates the best academic and career prospects in the domain of education. If you are looking for a Master’s degree that sets forth the ground for your professional career in the business world, then MBA is the course for you. The MBA courses in Australia for India students are a complete package of innovative curriculum and study programs. The MBA demand in Australia has seen a significant rise as it specializes in delivering internationally-praised postgraduates who are ready to rule the business world. If you wish to be one of them, here is Complete Guide to MBA in Australia. What are the Top MBA Colleges in Australia in 2019? The top business schools in Australia offers part-time MBA, full-time MBA as well as Executive MBA programs. Read here to find out about the courses in each B-school and here, for the various MBA degree across Australia. The Melbourne School of Business and Economics is one of the most sought-after MBA schools in Australia and even internationally. The reason for this is that it is the oldest and strongest business school in Australia, with immense popularity and fame in international business. The MSB holds AACSB and EFMD (EQUIS) accreditation and has produced over 16,000 business leaders as alumni in the past years. It offers part-time, full-time and even executive MBA courses. If you are looking for an overall MBA course package that offers academics, professionalism, extracurricular, communication skills, innovation, critical thinking, etc, then AGSM at the UNSW Business School in Australia is the right place for you. It is a 16-months long program that turns MBA aspirants into business professionals, with immense knowledge and great placements. Apart from academics, an MBA course should provide innumerable and invaluable practical knowledge combined with networking opportunities, that help you in the business world, post the MBA degree. It might be a big boon for those eyeing on an innovative startup. For this, a postgraduate course in management and business from Macquarie University’s Business School should be in your checklist for sure. UWA’s Full-time Intensive MBA course is a 12-months long MBA course, that makes graduates ready to take on the business, finance and the entrepreneurial world. With the varied specialization offers at the UWA Western Australia, a degree of their MBA course is an immensely valuable credibility that adds much more than just academics, to a student’s profile. 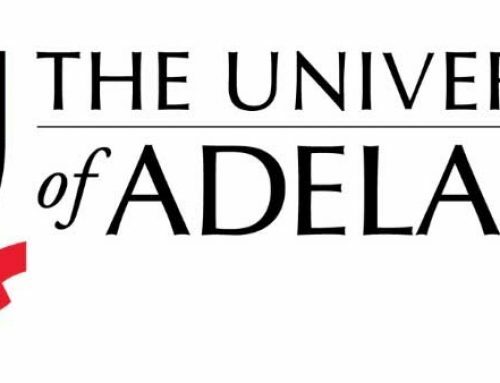 Bond University’s MBA program ranks in the top 10 Australian MBA programs for a long time now. The course offers smart learning and excellent mentoring for students who wish to make it big in the business world. For this, a one-year full-time and two-years part-time MBA course is available for students to choose from. If you are looking for a flexible MBA course that also offers global relevance as well as business connections and networks, then you need to check out the Deakin University’s MBA course. From Managerial positions to as big as CEOs, Deakin MBA graduates have been there, done that. An MBA course is destined to offer critical learning, innovation, academics as well as business learning to its students and La Trobe University in Australia’s MBA course is all about that. MBA graduates from La Trobe Business School have reached soaring heights in the fields of finance, marketing, management, sports management, human resource management, etc to name a few. How to Fund Studies in Australia? What is the Eligibility and Requirements for top MBA Colleges in Australia? 3-Year Graduation: In order to be eligible to apply for the course, a three-year graduate course degree is a must. MBA Resume: To support your application, an MBA resume especially prepared to complement your MBA application must be worked upon. Great academic record: The admissions’ committee evaluates the overall profile of the student. In that process, the leading factor to set an impression is the student’s academic record. Relevant work experience: For most leading MBA universities and schools in Australia, internship experience or work experience, ranging from two years or beyond is deemed as important for MBA courses. In addition, the relevance of the work experience to the intended course is given utmost importance. But do B-Schools accept freshers with no work experience? IELTS/TOEFL/PTE score: Since Australia is an English-speaking country, an English language, and proficiency test is mandatory. To qualify the test, an overall band of 5.5 in IELTS or equivalent in TOEFL and PTE is necessary to complete the application documentation. Statement of Purpose: An essay that reflects your desire and aptitude for the MBA course, along with how and why you are suitable for the university needs to be a part of your Statement of Purpose. Letter of Recommendation: Just like the SOP, a LOR from the Head of Department of your college will positively affect your application, as it counts as a proof of your eligibility and credibility for the MBA course. Wondering how to write a LOR for MBA? Refer here. 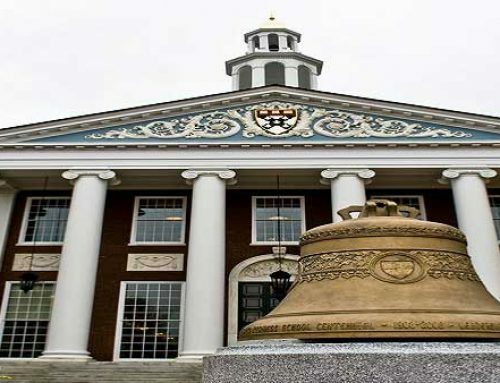 GMAT score: For most B-Schools GMAT is one of the important factors but not the only one. In fact, you can pursue an MBA course in Australia, even without GMAT. How to Afford Your Studies Abroad? How to Apply at top MBA Colleges in Australia in 2019? The admission cycle in Australia starts early in the year, that is around the month of February. In that context, the admission intake starts around September and ends by the month of November. A majority of the Australian universities have only one round of applications such as Sydney Business School and the Monash Business School since they follow strict deadlines. However, if the need is, some like the UWA Business School and AGSM MBA call out for a second round of admissions around the month of July. Learn how to apply for MBA Abroad, here. In order to apply, collect all your documents and apply online for to your desired colleges. Follow up with emails and other forms of communication that you receive from the B-school. Once your application is viewed and accepted, you might have an MBA interview and may get the admission offer letter. What is the Cost of MBA in Australia? An MBA Degree from abroad is a major burn in the pocket. Of course, there are several scholarship options for Indian students in Australia. But, on an average, an MBA program in Australia lasts for two years or three years at max. For this, the government of Australia released an estimated amount of $51,163 as the MBA in Australia fee. This amount varies with an addition of a partner/spouse or child. For example, Macquarie Graduate School of Management, Australia’s number one MBA, costs around a total of $70,000. This also includes the food and accommodation expenditure, falling in the range of $45,000 to $80,000. The most expensive B-school in Australia is University of Melbourne’s Senior Executive MBA for $121,800, whereas the least expensive and naturally more affordable is the European University (EU) Business School for $33,000. You can find a list with all MBA B-Schools and their course fee here. How to choose a Top MBA Course in Australia? While selecting or opting for an MBA Program, do keep the following things in check. Program Structure and Elective Offered: While selecting the MBA course, you should know as to where the MBA course will head towards in terms of career, upon completion. The structure and subjects in the course should impart the skills and knowledge that you are seeking for. Career and Job Opportunities: Since you are braving the step of pursuing an MBA course, you will definitely want it to be in line with the leading business and entrepreneurial trends. International Standing, Rankings and Relevance: While choosing the MBA program, you should keep in mind the global business scenario and how the intended course will complement that. To help you figure that out, you should refer to world rankings and relevance of the course to your future jobs. Faculty and Facilities: A good course outcome depends on the student as well as the B-School faculty. If there are good teachers and mentors, you could end up having a job even before the course is complete. In addition, to enhance teaching and learning methods, modern teaching aid and world-class facilities must be kept in consideration. How to Choose the Right B-School for MBA? Why Choose Australia for an MBA Degree? If you are wondering, why Australia? Then, you must know that over 10 leading B-Schools of Australia have featured in the US News Top 100 Economics and Business Schools with the University of Melbourne, University of Sydney, University of Queensland, etc featuring at ranks 37, 66 and 71 respectively. Here’s Prateek Biyani’s tryst with education in Australia’s University of Sydney. Apart from the rankings, the Australian MBA courses are fashioned in a way that they prepare students for the international business market, with a unique combination of quality education and professional acumen. In addition, the B-Schools programs encourage innovative and out-of-the-box-thinking along with creativity and independent thinking. Read Saliq Shafique’s inspiring testimony for the University of Melbourne here. The MBA courses in Australian universities incorporate training and working sessions with local as well as international companies to impart the students with a wholesome study experience. Interested in knowing Akshatha NP’s experience of education in Australia? Read here. In comparison to the MBA costs in other countries such as the USA, the tuition fee for leading B-Schools in Australia is comparatively more viable. Check out a detailed MBA in the USA VS MBA in Australia Comparison here. In addition, the Return on Investment or ROI for an MBA course from an Australian university could lie somewhere around $96,411- 120,485 as salary. How was study in Australia for Zeeshan Ahmed Shakir? Find out here. One thing unique to Australia is the fact that it is not adamant with the GMAT scores. This means that an MBA in Australia (at La Trobe Business School, Sydney Business School, etc) is possible if you have an excellent academic record and relevant work experience that covers up for low GMAT scores. Thus, MBA without GMAT in Australia is attracting a lot of students from all around the globe. Vahini Goyal’s career journey and her study in Australia, all summed up here. Outside of academics, the diverse and multicultural environment at the Australian university campuses will expose you to a whole new world that brings along learning and knowledge in more ways than one. How did Jyotismitha Khaund get into RMIT Australia? Find out here. What is the Job Scenario after MBA in Australia? All in all, the Australian lifestyle, cosmopolitan vibe, financial and growth opportunities seems irresistible to students. All of the above-mentioned reasons, feature in the personal as well as career goals of most of the students who wish to study abroad especially the MBA aspirants. Thus, an MBA course in Australia, that too from a top university seems like a dream come true and you should definitely catch hold of such an opportunity as and when you have it.